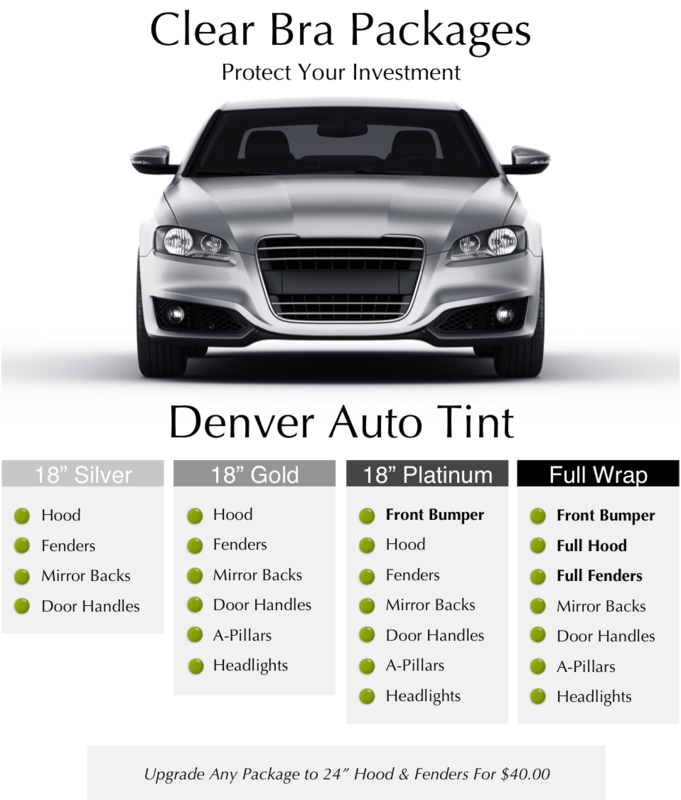 Select a Clear Bra Package by Denver Auto Tint to get the maximum protection for your vehicle’s paint at the best value! The best way to protect your vehicle from Colorado’s harsh road conditions is a Clear Bra Package from Denver Auto Tint. 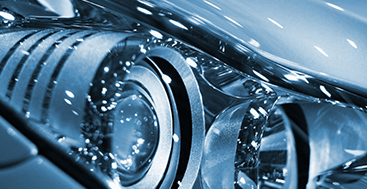 Protect the most at-risk areas of your paint with one of our coverage packages. By investing in a Clear Bra Package you receive volume discounts for having the work done all at once. A package will give you a much greater value than having areas of your vehicle protected separately. Denver Auto Tint uses Llumar Platinum clear bra material for all packages. 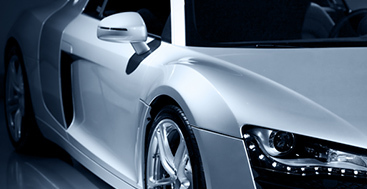 Llumar Platinum is the premier paint protection film in the industry. This American Made material features a TEN-YEAR WARRANTY, an improved hydrophobic top-coat and a self-healing surface. Plus, the clarity of the Llumar Platinum is off the charts! 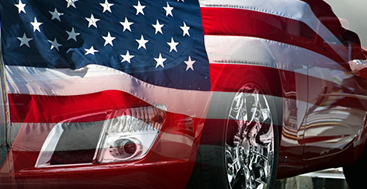 Denver Auto Tint is a locally owned, premium quality automotive window tinting & clear bra shop. 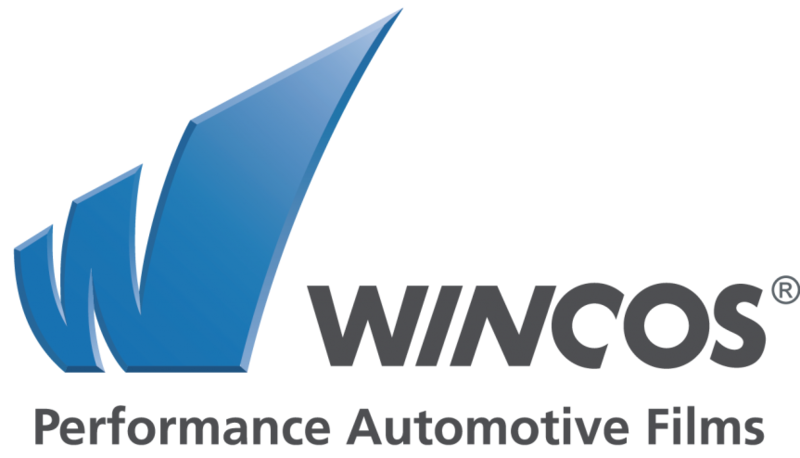 We pride ourselves on offering Warrantied, American Made products. Our professional staff is convenient to work with. P are completely focused on satisfying our customers.